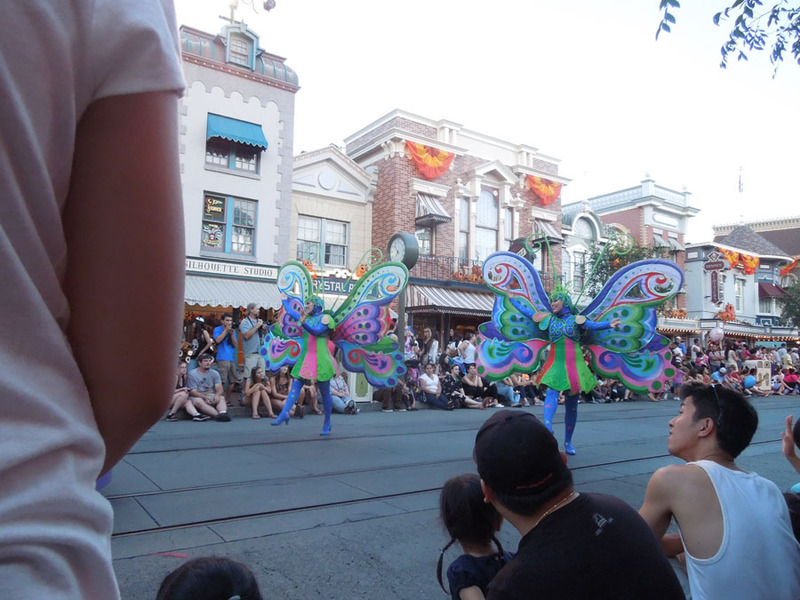 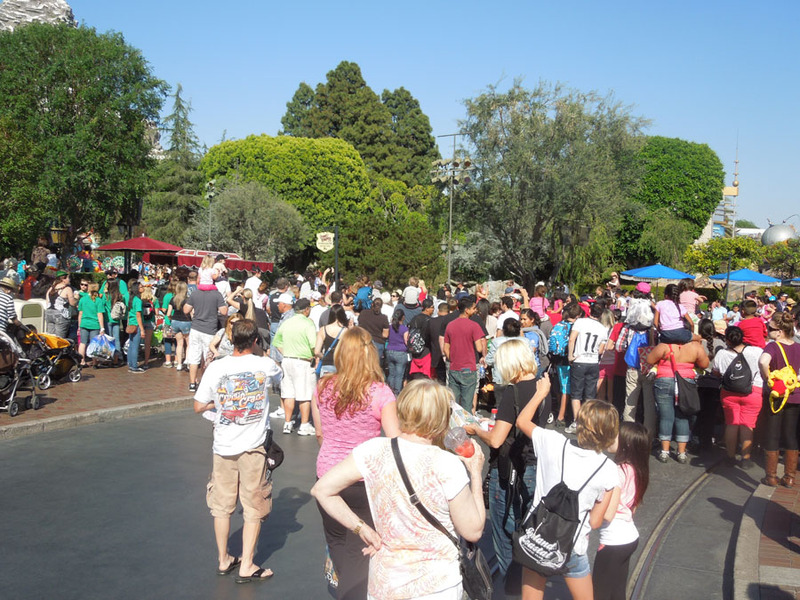 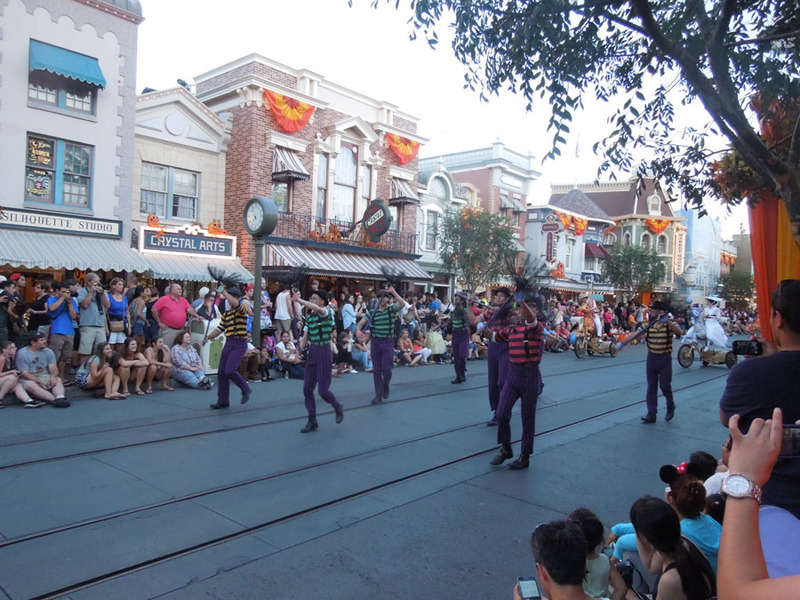 The Disneyland Parade makes it's way through the park twice per day.. 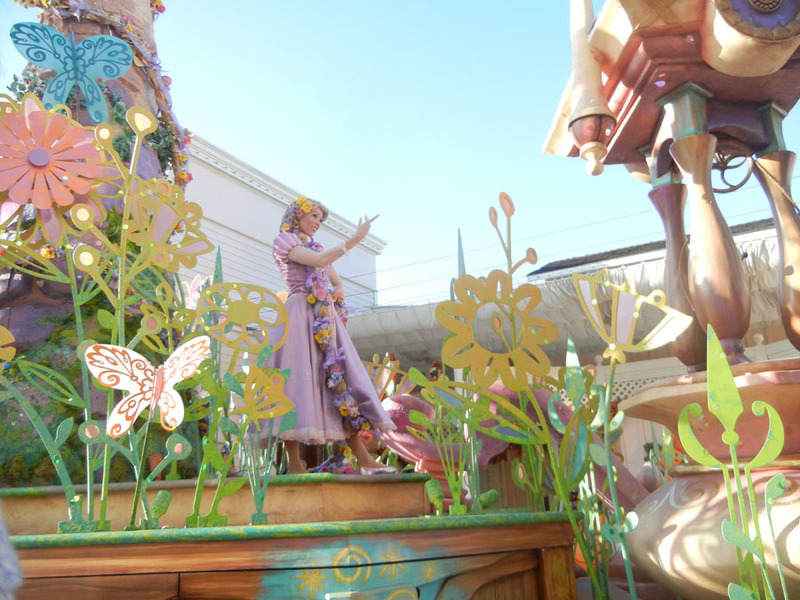 I believe. 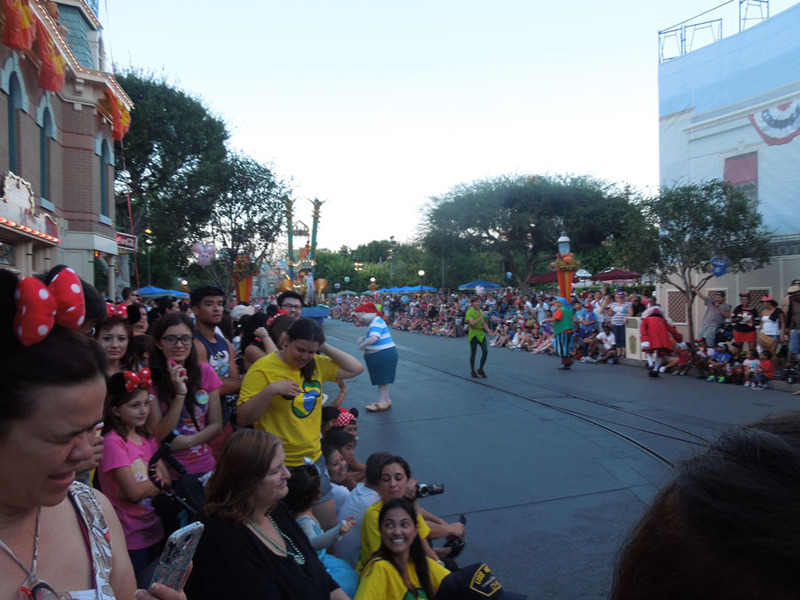 People begin to sit on the curb almost an hour before the parade starts. 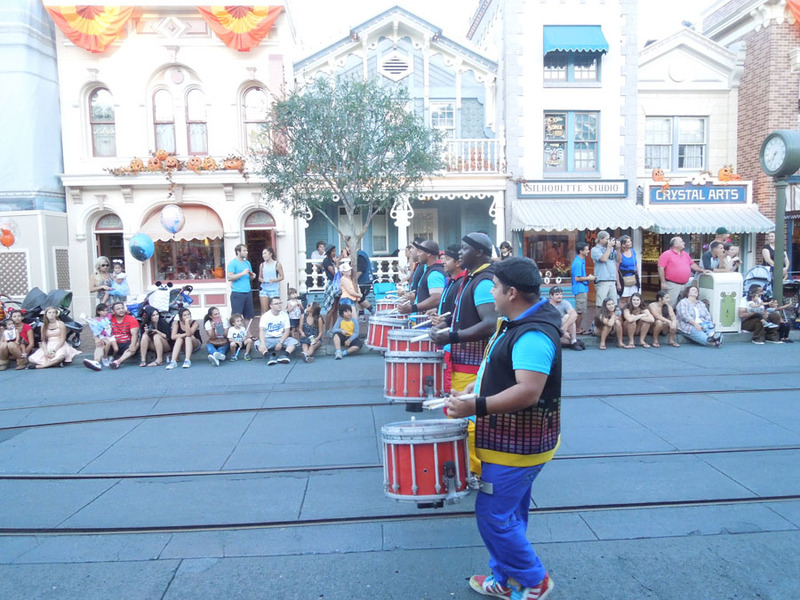 It begins with a drumline. 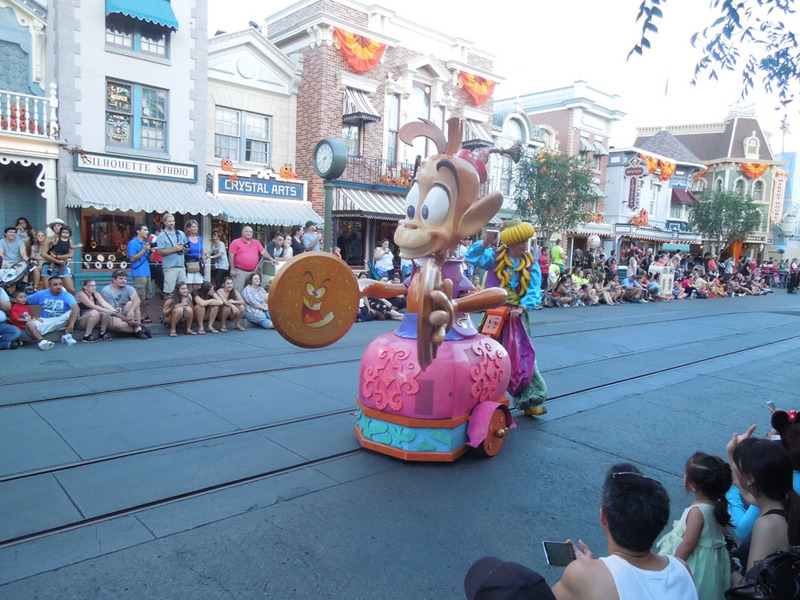 Oh, Minnie Mouse is on there too. 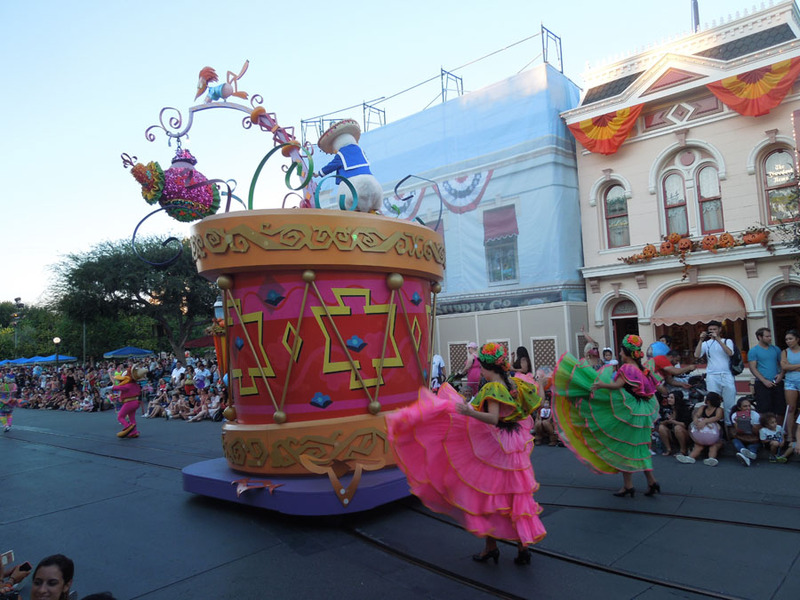 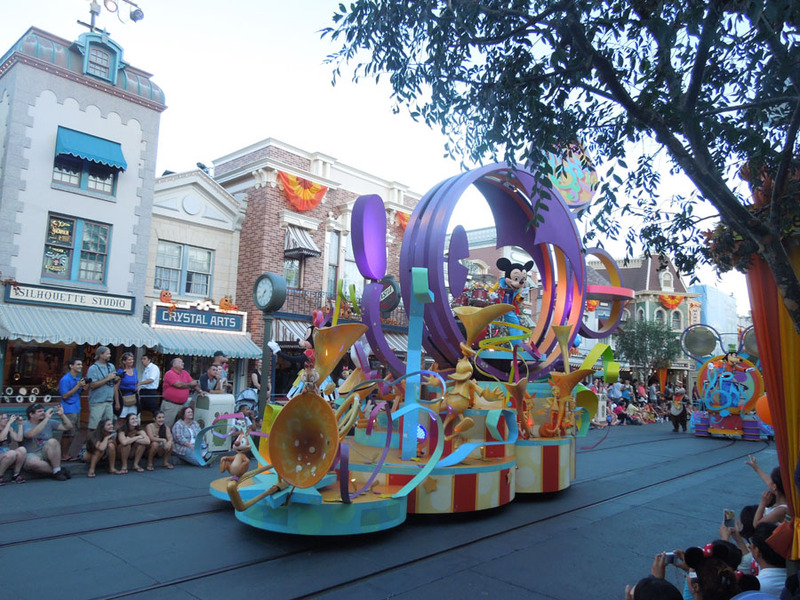 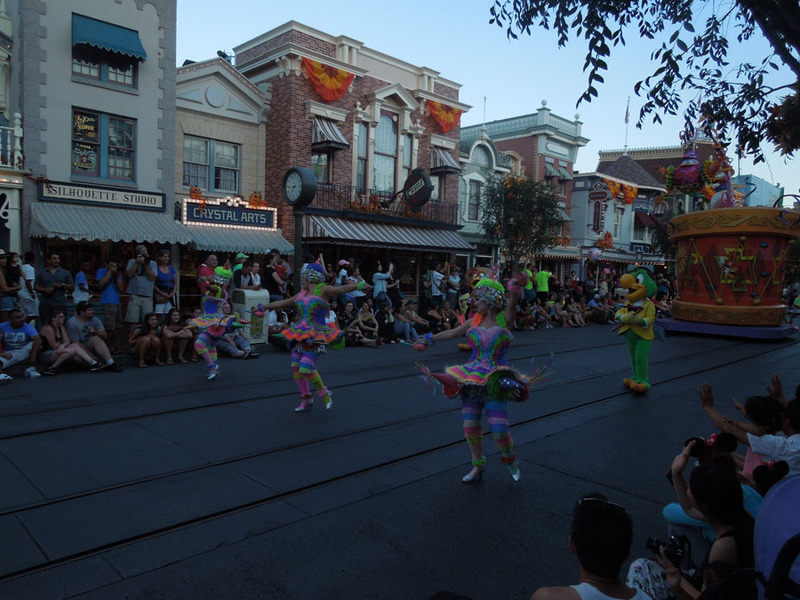 Donald Duck's dancers and float. 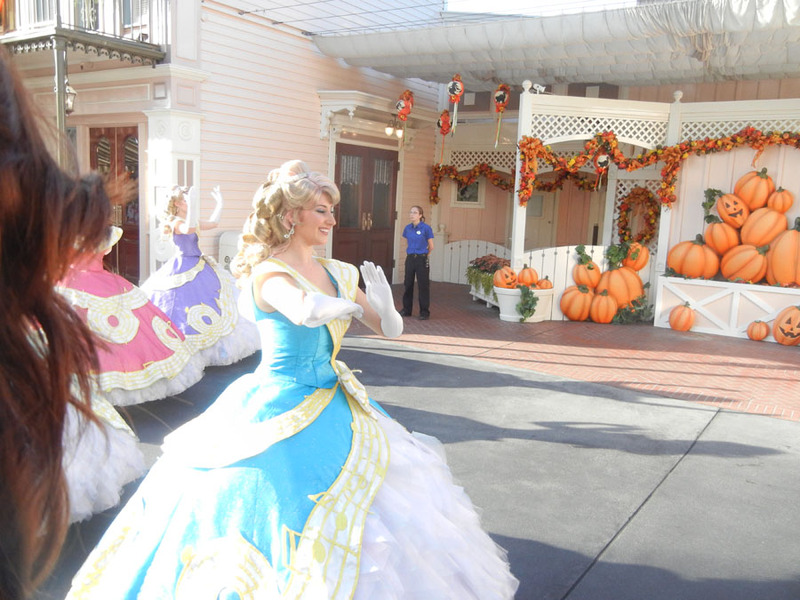 Cinderella and Belle. 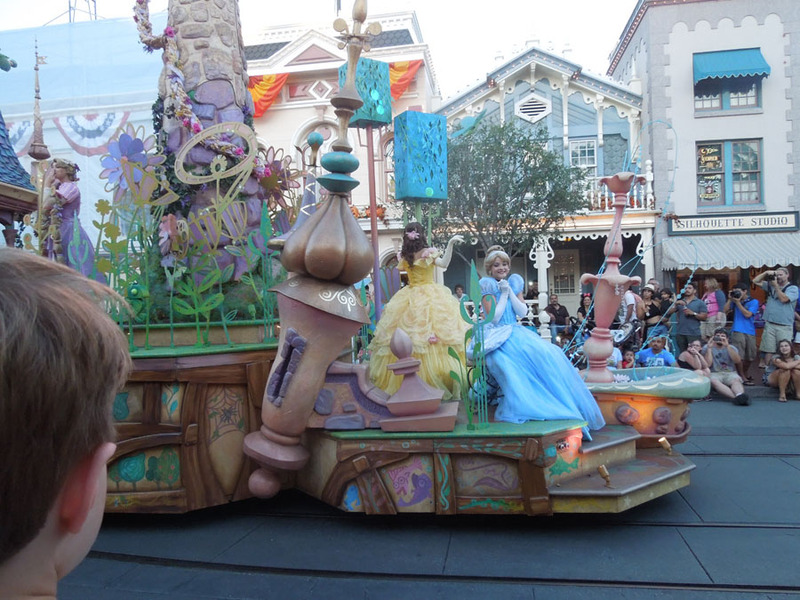 I think the emergency stop buttons are just below Cinderella's feet. 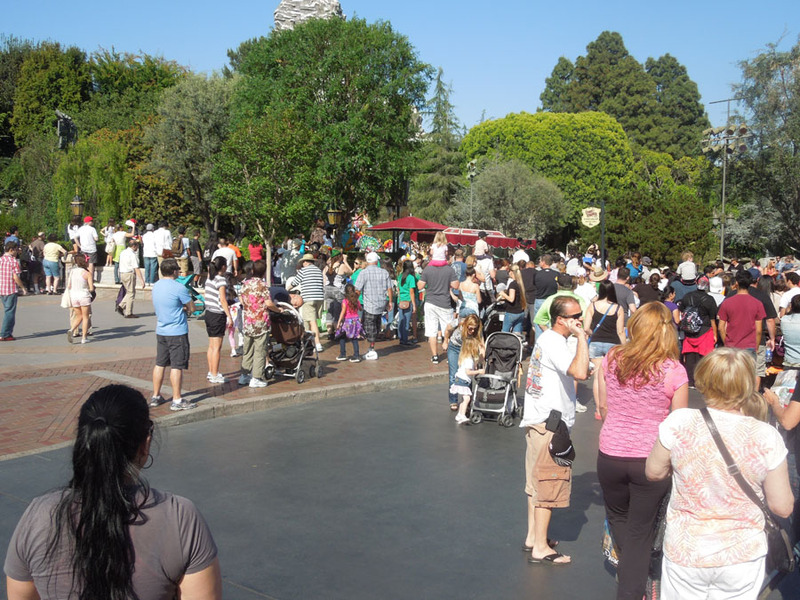 You are allowed to sit on porches, benches and the curb, but if you are on the sidewalk, you have to stand up. 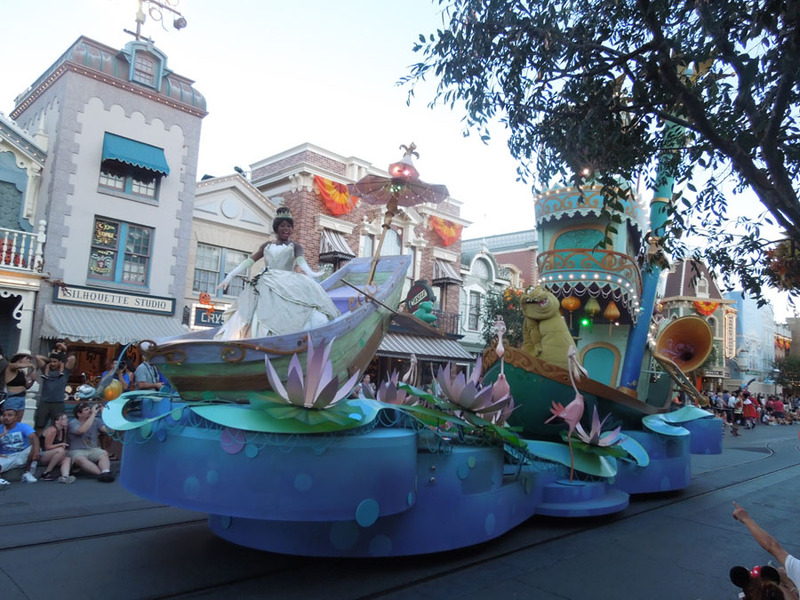 The Princess and the Frog Float, Tiana. 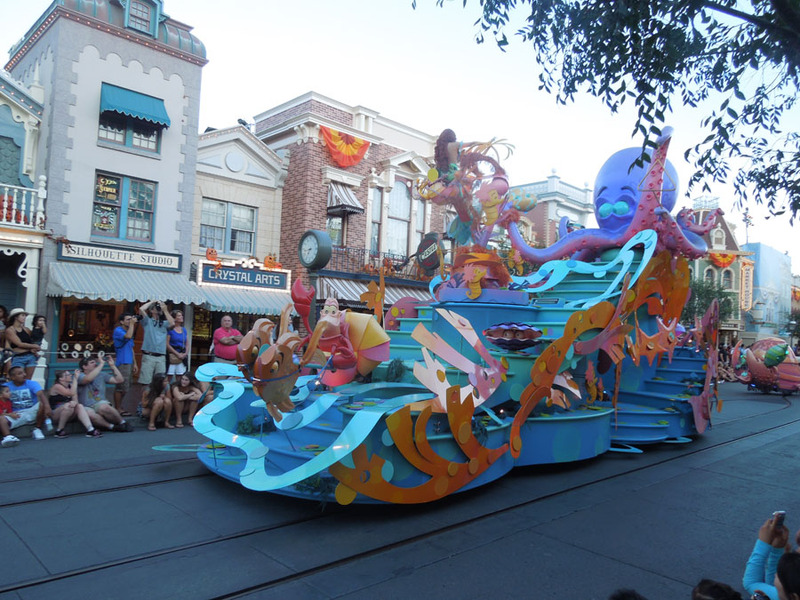 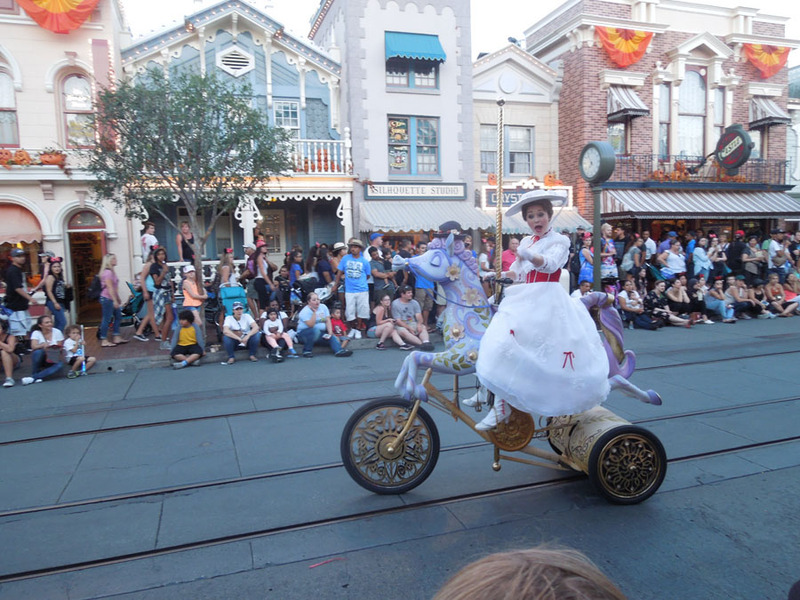 The final float: Mary Poppins. 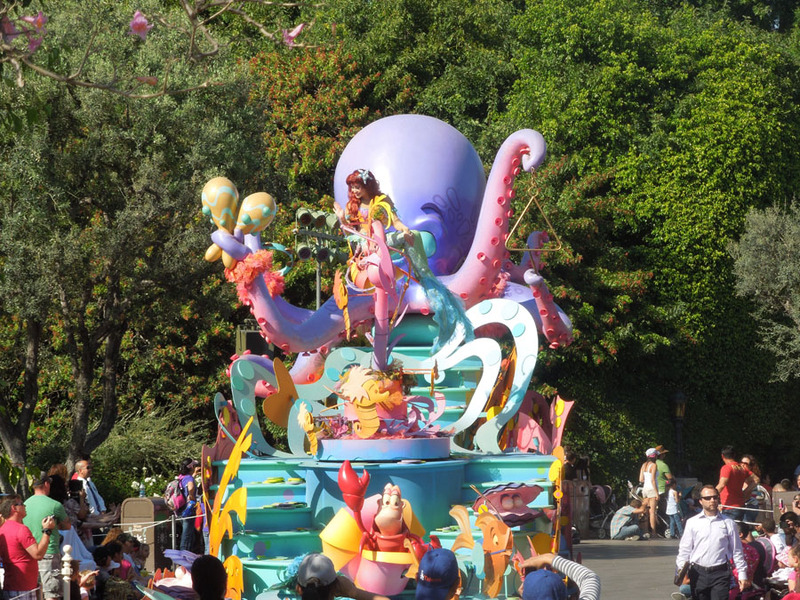 Almost everyone follows the last float out into the park. 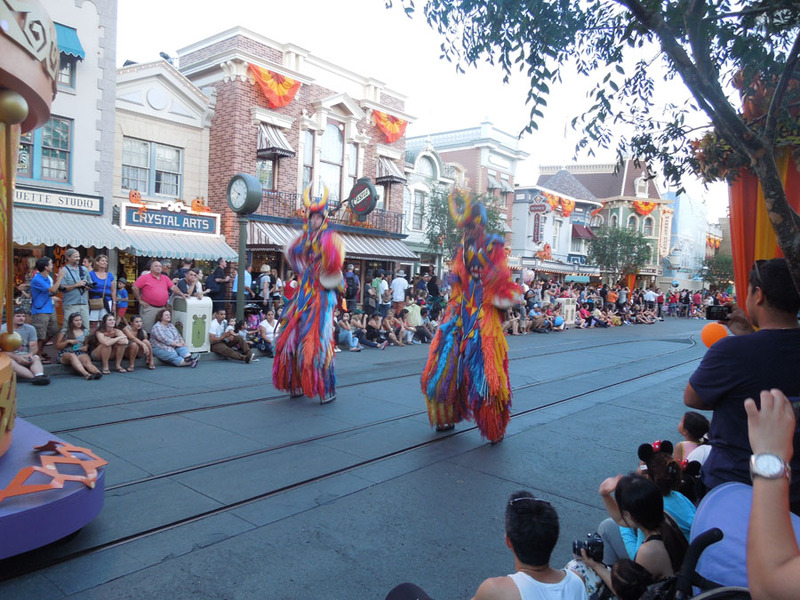 Blocked pathways to define the parade route. 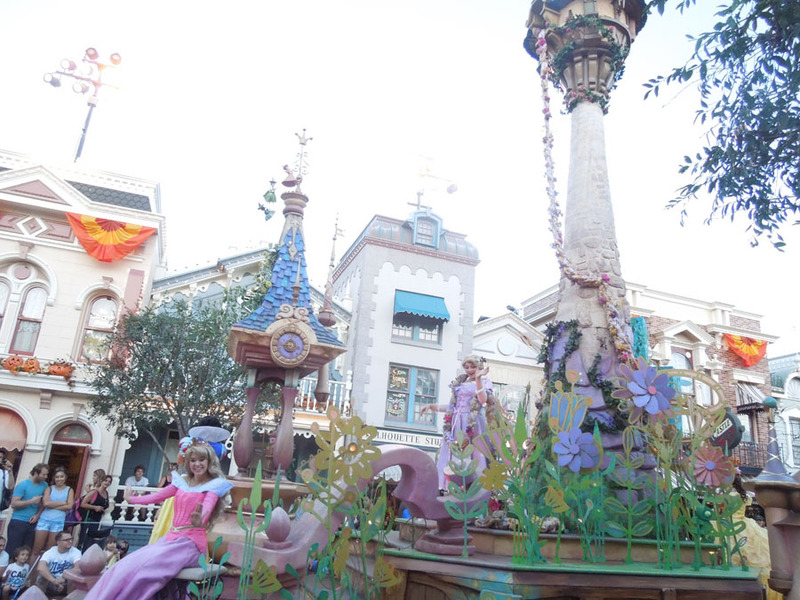 These close-up pictures were from next to the Mad Hatter store. 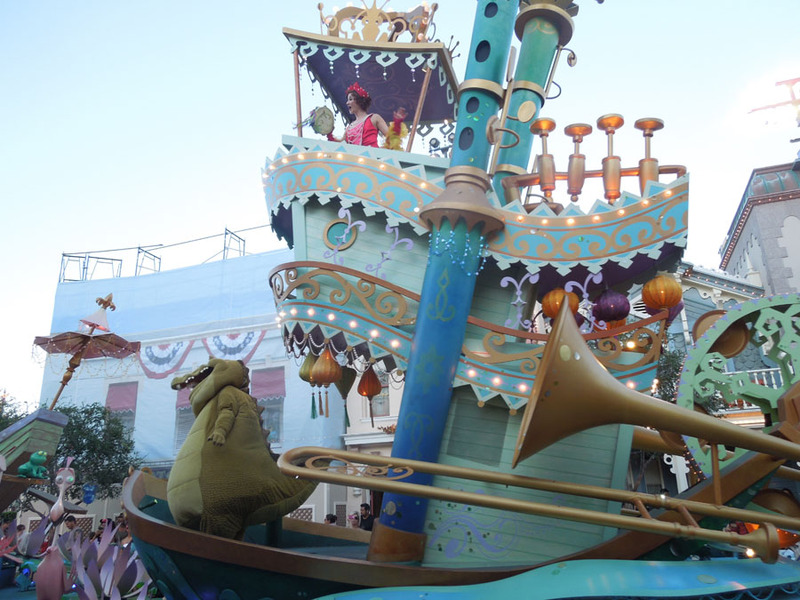 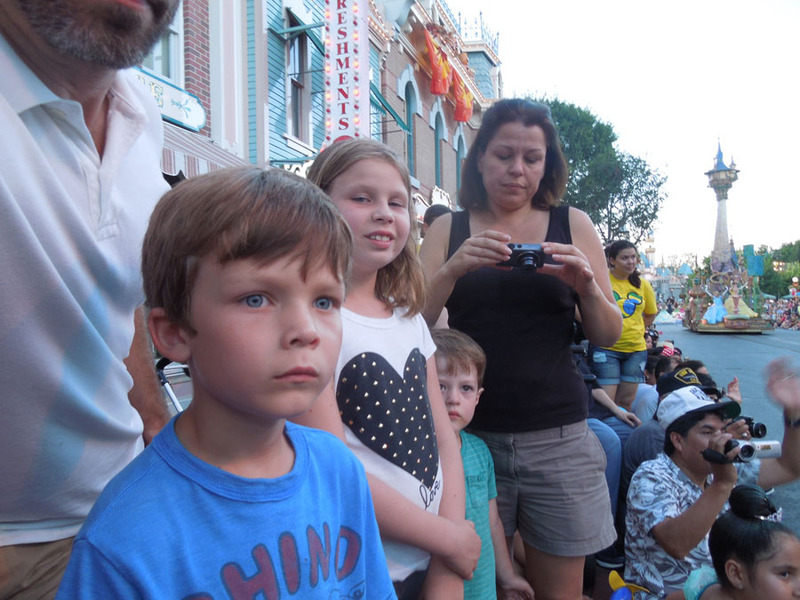 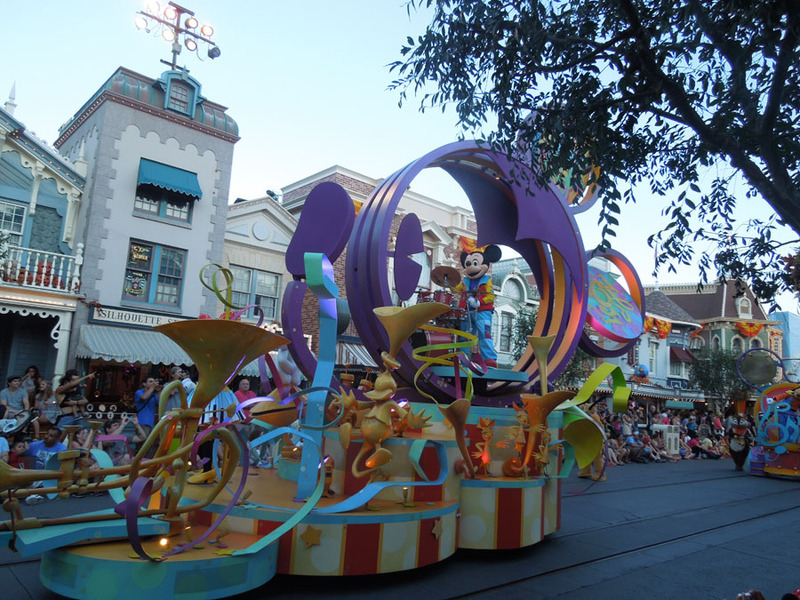 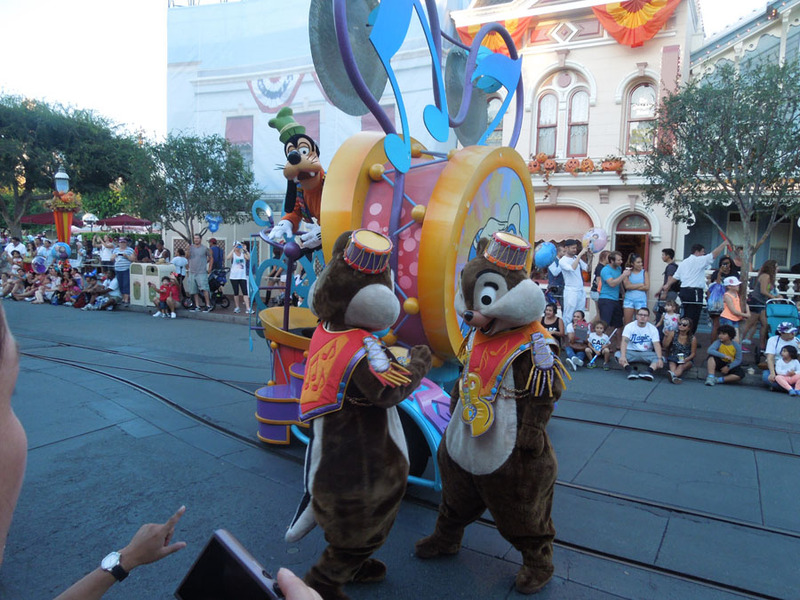 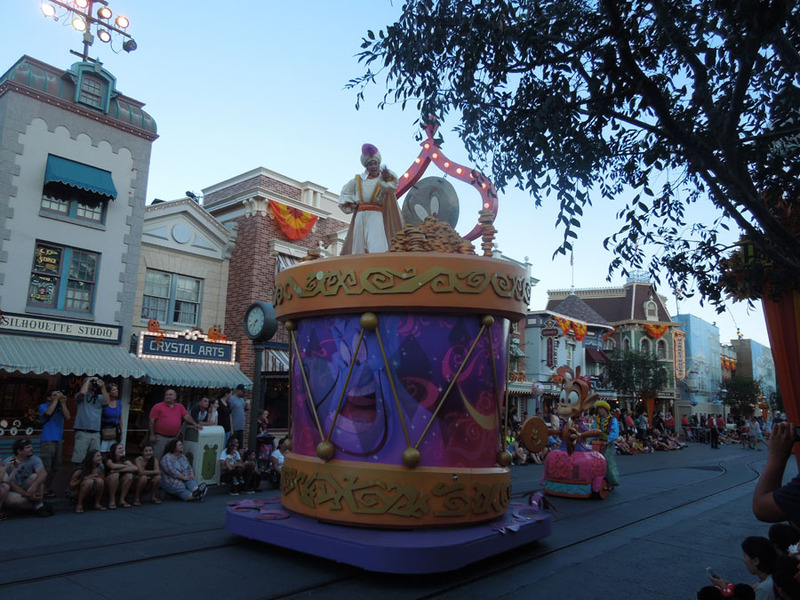 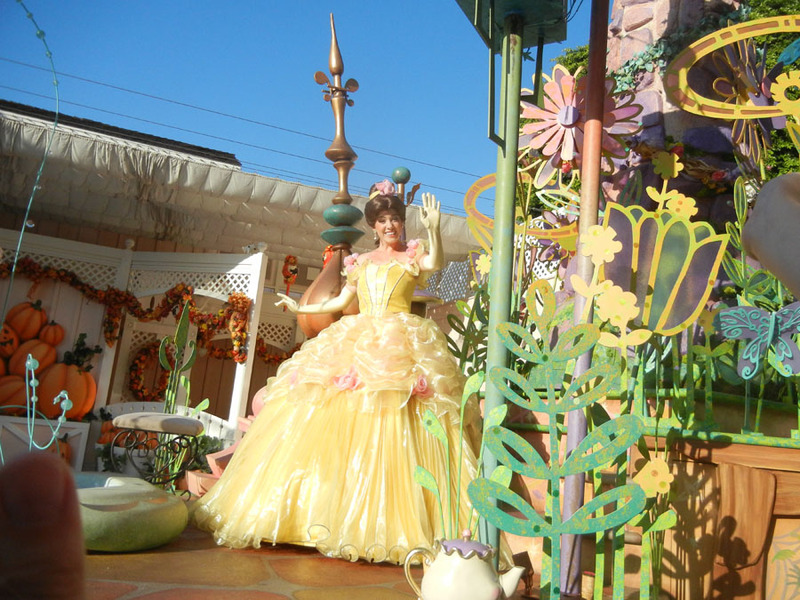 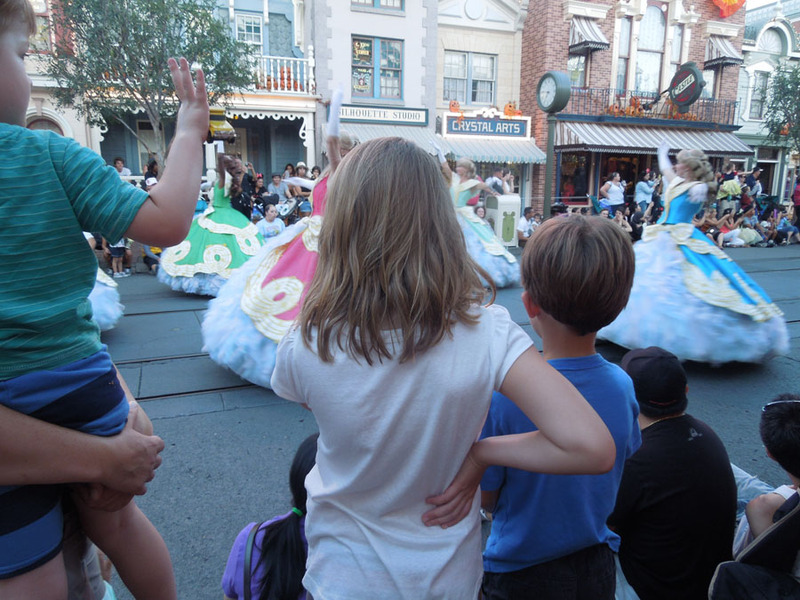 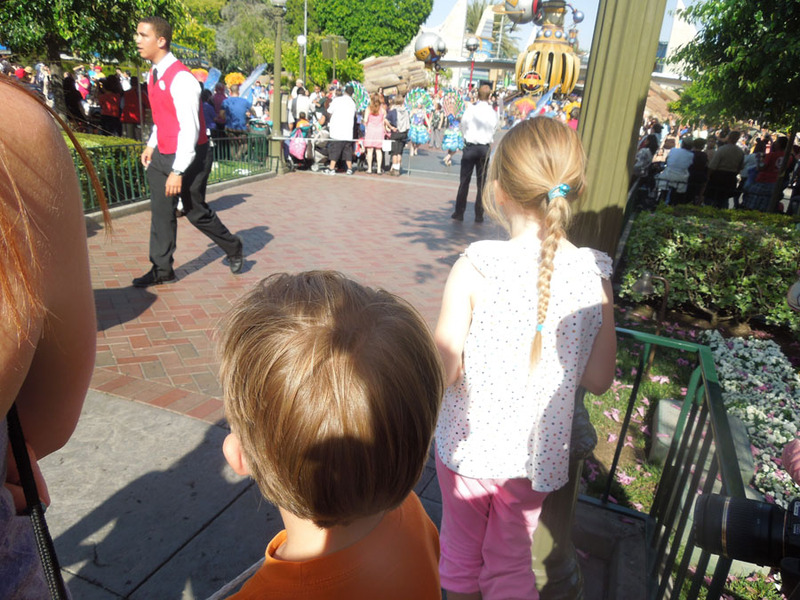 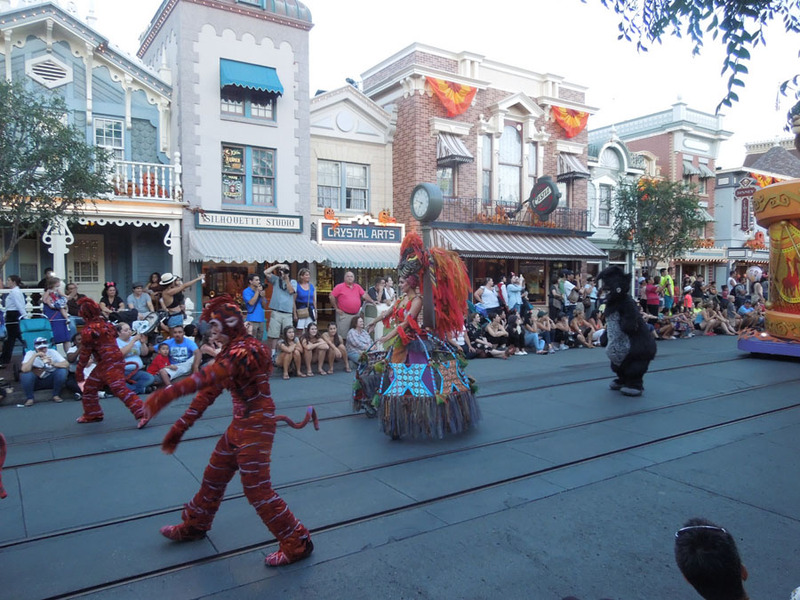 Guests were only on one side of the street, so every character in the parade turned to look at us. 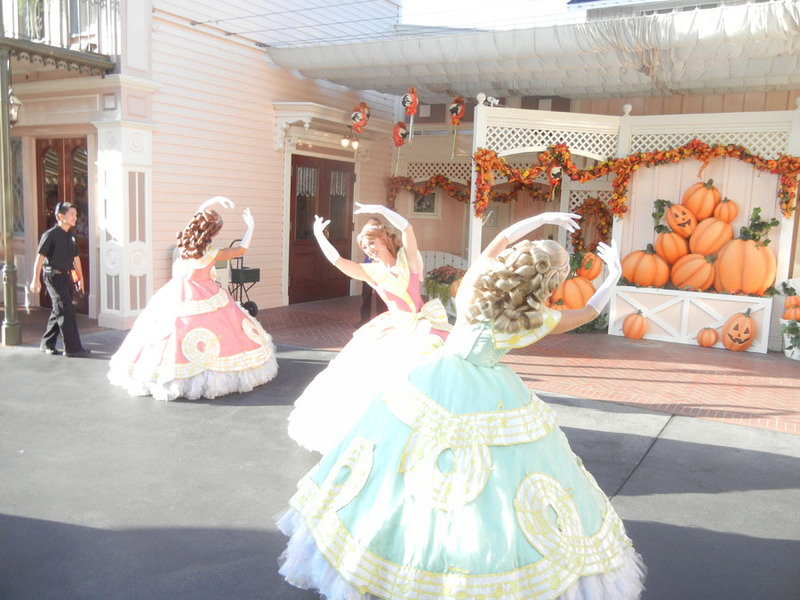 This was the end of the show, and they disappeared into the barn doors to the right. 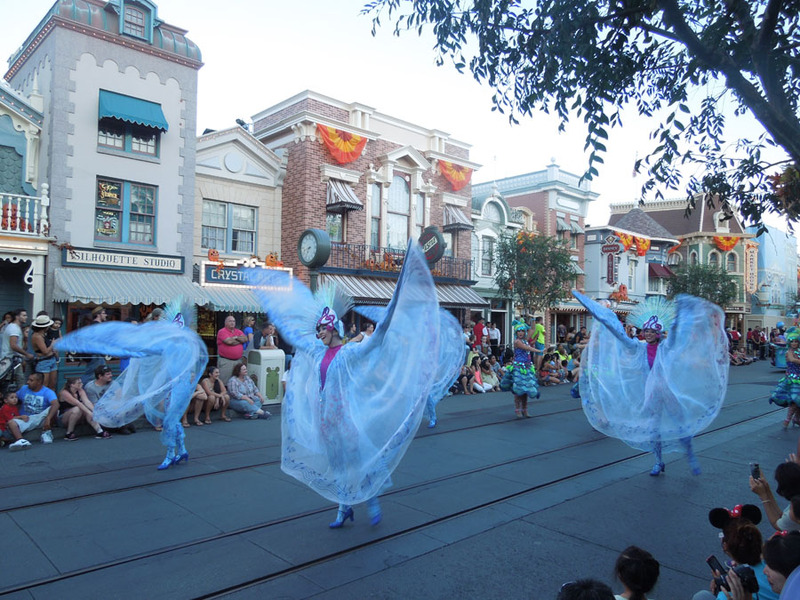 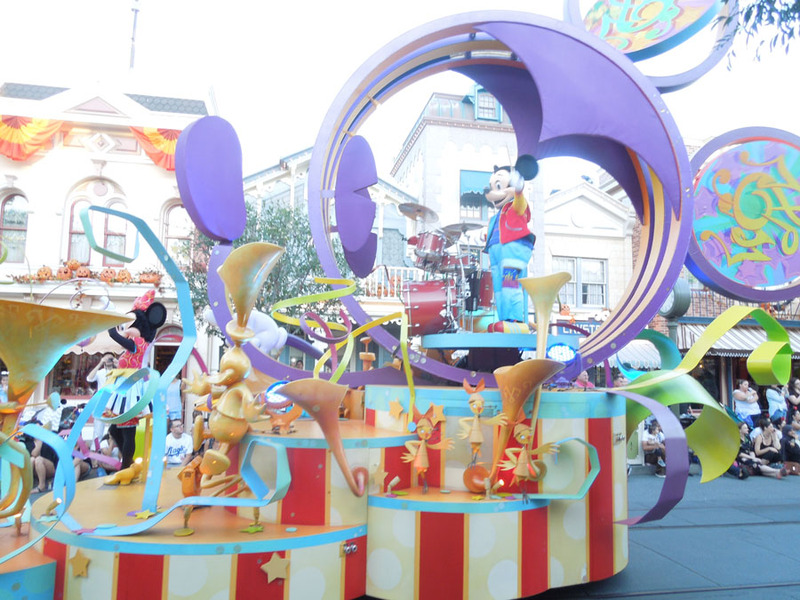 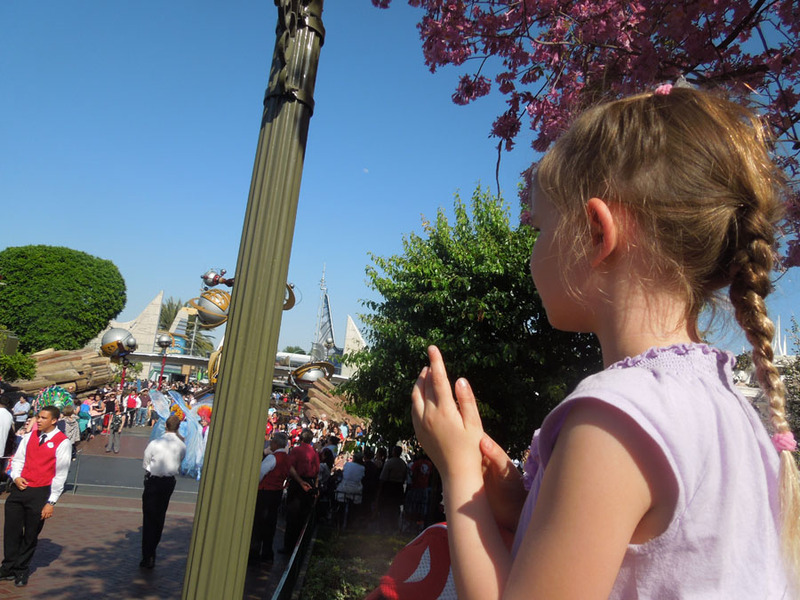 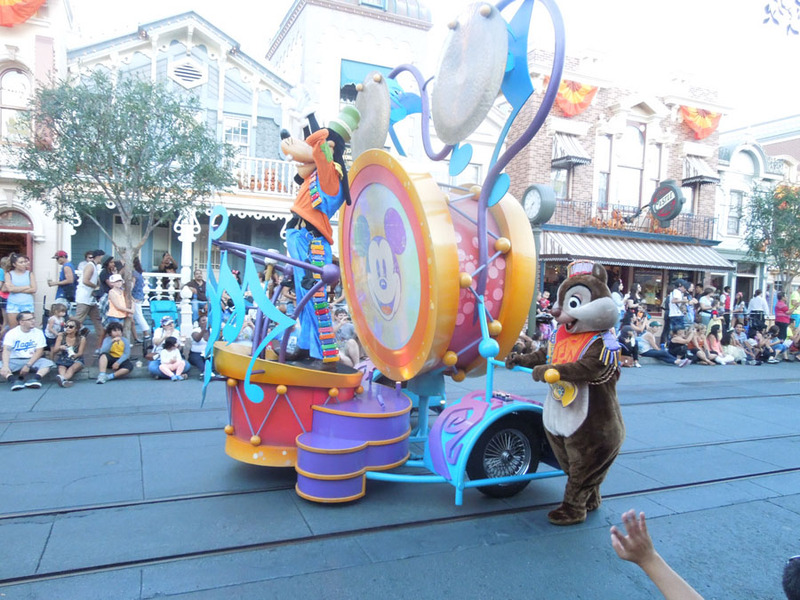 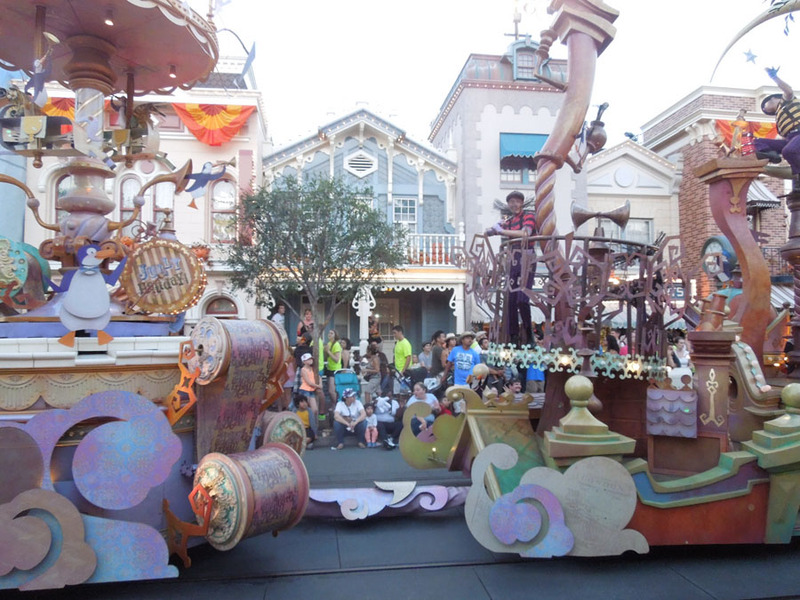 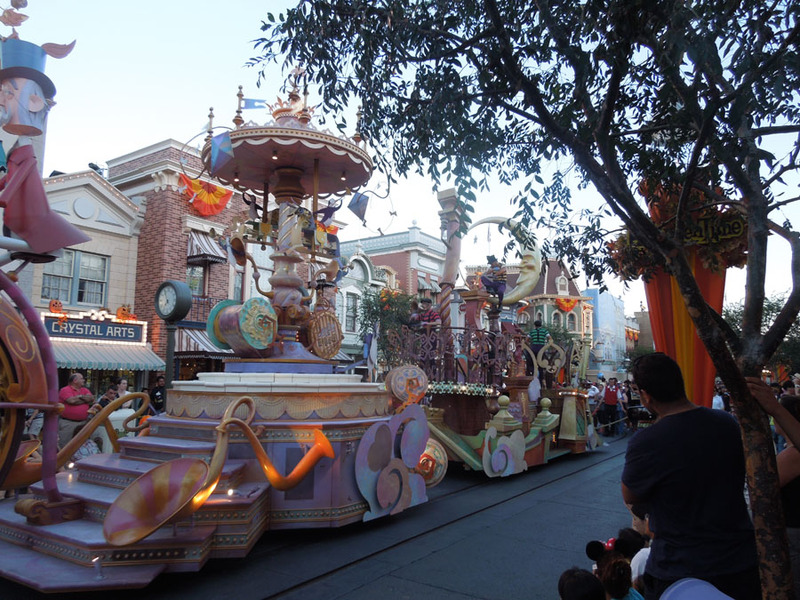 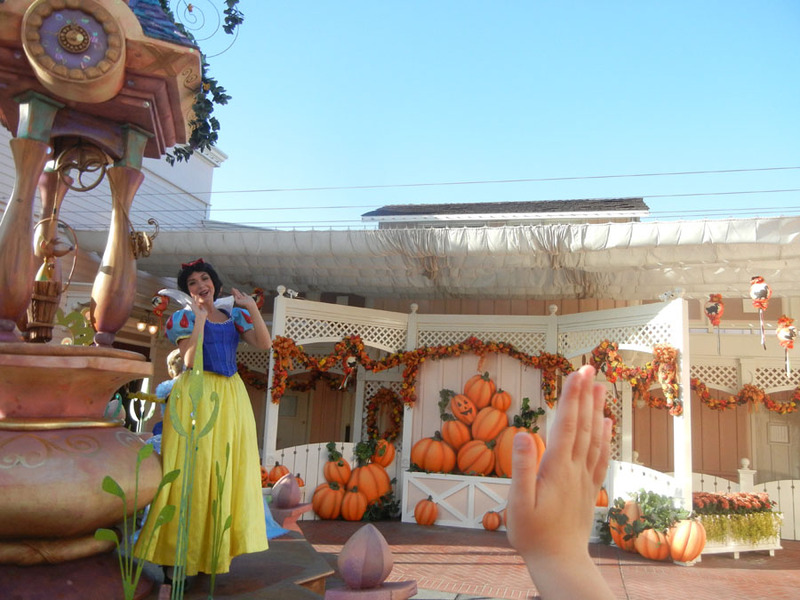 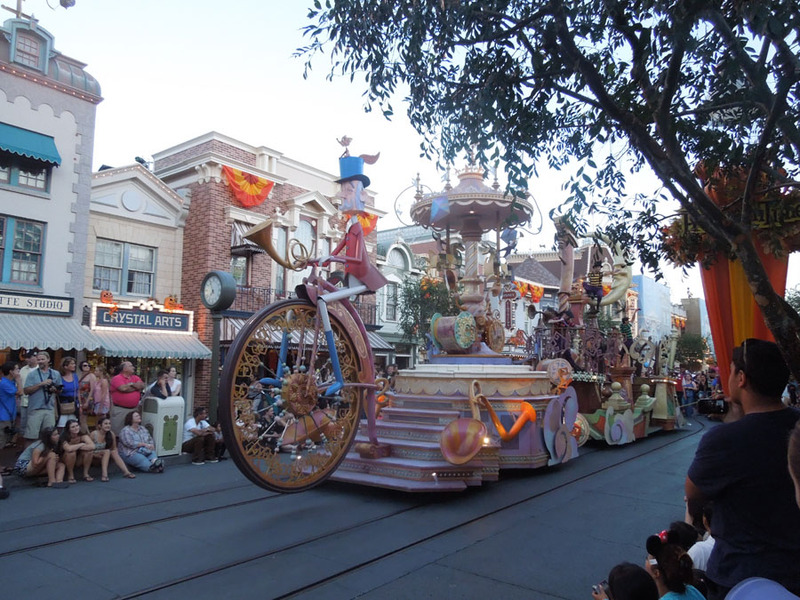 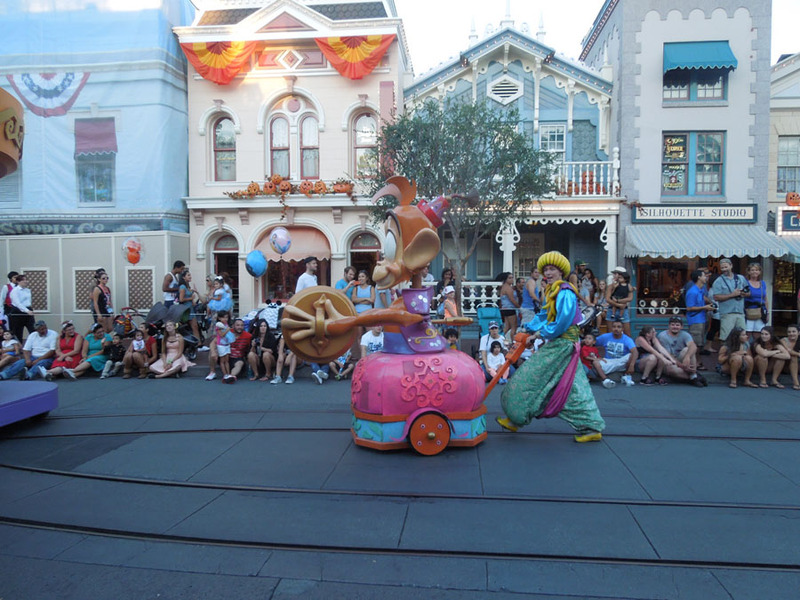 Please continue reading page 2 of Disneyland Parade pictures (in the day).